It is not often that we can truly enjoy our vegetables, especially the members of the cruciferous family such as brussels sprouts, or broccoli. They tend to smell kind of funny after being cooked or steamed, and the kids are usually not too fond of that. However, the addition of bacon and candied walnuts make this delicious side dish more addictive than french fries! 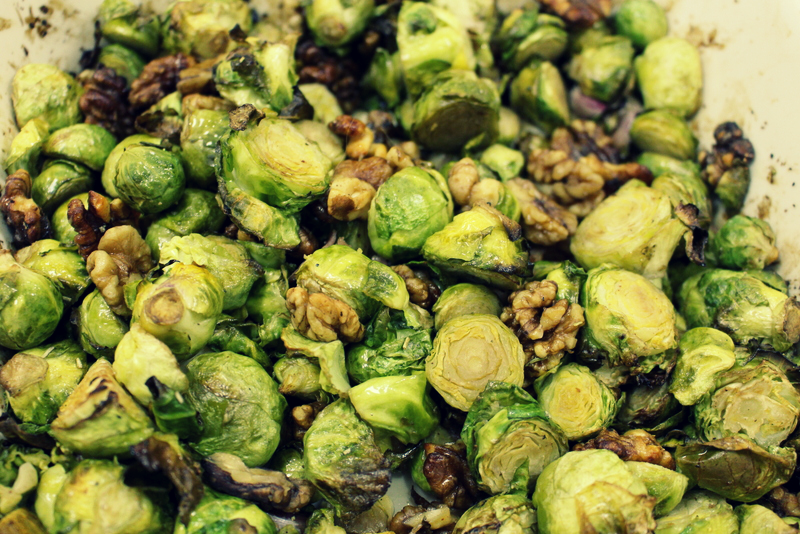 Brussels sprouts can be cooked a few different ways, but my favorite method is roasting them in the oven. Side note: The best thing about brussels sprouts is their cancer protection benefits which comes from their unique combination of these four specific glucosinolates found in them: glucoraphanin, glucobrassicin, sinigrin, and gluconasturtiian.